This is the first time in nearly four years of debate about this bill that a bishop in Uganda, where more than 40% of people are Catholic, has spoken up for the lives and dignity of LGBT people. 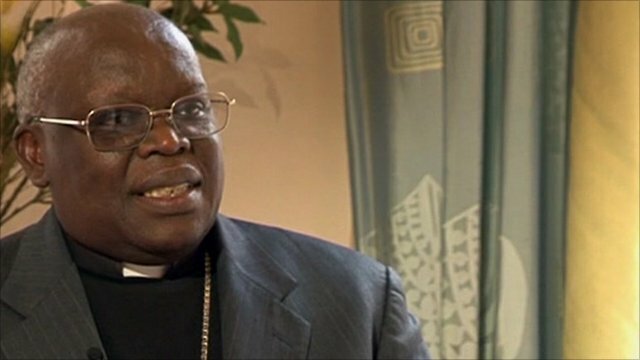 In 2012, the Uganda’s bishops reversed their opposition to the Anti-Homosexuality Act. After it was passed in 2014, the bishops conference remained quiet for weeks before several announced their support publicly at Easter. However, Catholics worldwide have condemned anti-gay legislation at each step. Figures like Jesuit Fr. James Martin former US ambassador to the Vatican Thomas Melady, and the papal nuncio to Uganda have all condemned the law, as well as organizations like the Equally Blessed coalition and the Catholic Agency for Overseas Development. Students and alumni of Catholic colleges have organized against the law. In Uganda, Frank Mugisha, a gay advocate who is Catholic, has courageously led the struggle for LGBT justice. But there is one voice noticeably absent as anti-gay laws increase, and that is Pope Francis. Even after people of faith worldwide have asked Pope Francis to clearly and openly condemn anti-gay legislation through the #PopeSpeakOut Twitter campaign, there has been no message from the pontiff. Bondings 2.0 has previously questioned why the pope has remained silent on this issue, and wondered how Catholics are to respond when church leaders, such as the Ugandan bishops, not only allow, but support anti-LGBT policies. New Ways Ministry welcomes Archbishop Odama’s words, but we reiterate our request that Pope Francis take action to save lives and protect human dignity. If you would like to add your voice to the #PopeSpeakOut efforts through email, Facebook, and Twitter, click here. Please share the news about this campaign with your contacts and social media networks. What do you mean by “harm”?